UPDATE: Coupon is gone but you can still enter the contest daily. You can print a coupon for a FREE Half Gallon of Chocolate Milk when you buy a gallon of regular milk! 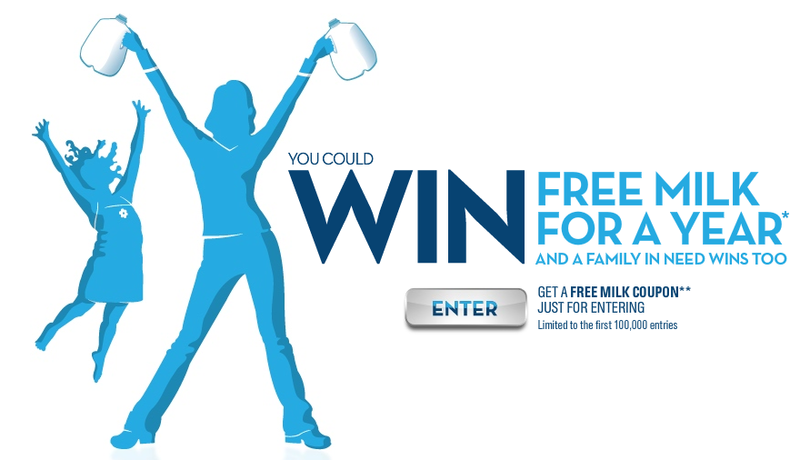 All you need to do is enter a contest to win FREE milk for a year. The coupon will be emailed to you and you can print it twice by using the back button. The coupon is available to the first 100,000! 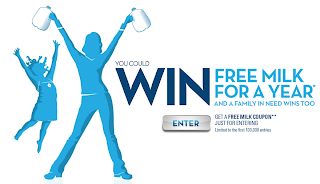 I received coupon for free 1 gallon milk(any Brand) with $100.00 dollar grocery purchase. I easily spend that. But some grocery stores don't take coupons unless they say manufacture coupon on top this says milk coupon instead.